Why would I need self storage in Jacksonville Beach, FL? There are a variety of reasons why you might need self-storage in Jacksonville Beach, FL. How much is a storage unit in Jacksonville Beach, FL? The cheapest storage unit in Jacksonville Beach, FL is $63.00 per month. What size storage units do you have available in Jacksonville Beach, FL? In Jacksonville Beach, FL we have sizes that range from 5'x5' to 10'x25' to suit your storage needs. How much is it for a 5'x5' storage unit in Jacksonville Beach, FL? The cheapest 5'x5' storage unit in Jacksonville Beach, FL is $63.00 per month. Located on Florida's Atlantic Coast, Jacksonville Beach is situated just 15 miles east of Jacksonville. The city covers about 8 square miles and boasts quick access to the city of Jacksonville and one of Florida's much-loved beaches. It's considered one of the communities in a group referred to as "The Jacksonville Beaches," accompanied by Neptune Beach, Atlantic Beach and a few others. Spanish settlers first moved into the area in the 16th century, but Jacksonville Beach truly began to thrive in the early 19th century, when American settlers established a port. The Jacksonville Beach area grew even more quickly when the railroad connected nearby Jacksonville to the coast, turning it into a thriving resort area. The community was originally called Pablo Beach, named after the San Pablo River. Its first settlers included a civil engineer and his wife, who constructed the very first house in the community. In the 1880s, the San Pablo Diego Beach Land Co. sold off lots in the area, advertising the proximity to the new resort destination, Pablo Beach. The city began to grow slowly, taking a pause when it served as an encampment site for troops during the Spanish-American War. In the early 1900s, development was renewed. The town's name was changed to Jacksonville Beach, and a handful of amusement parks were constructed near the pier. It was called "Little Coney Island," in reference to the iconic boardwalk area in New York. Over the next 100 years, Jacksonville Beach continued to grow and develop, evolving into the vibrant beach city it is today. Jacksonville Beach and the greater Jacksonville area boast a thriving economy with businesses in nearly every sector. The area's largest financial employers include Bank of America, Florida Blue, Citi and JP Morgan Chase, while there are many health care jobs to be found with Baptist Health, Mayo Clinic, St. Vincent's Medical Center and the University of Florida Health. This area also serves as headquarters for Bank of America, Florida Blue, JP Morgan Chase and several other corporations. If you're looking for a job in the logistics sector, you'll likely find opportunities with CSX Corp. and Southeastern Grocers, while large aerospace employers including Fleet Readiness Center and Northrop Grumman provide hundreds of specialized positions. In Jacksonville Beach, the largest industries include trade and transportation, professional and business services, education and health services, leisure and hospitality. Because the area has such a diversified economy, you'll be able to choose from a range of options when starting your job search. Duvall County Public Schools manages the public schools of Jacksonville Beach. There are a few private campuses in the area, including a Montessori school and a parochial school. Utilities: Beaches Energy is the primary energy provider in Jacksonville Beach, supplying both electricity and natural gas. Water and sewer services are administered by the city. Garbage and Recycling: Trash, recyclables, yard waste and bulk items are collected on a regular basis, with your home's location determining the specific schedule. Transportation: There are a few public bus stops in Jacksonville Beach, making it possible to access and connect to larger routes in the area. The most expensive and desirable homes in Jacksonville Beach are located along the Atlantic Coast or the Intracoastal Waterway. If you're working with a smaller budget, you can find numerous affordable options scattered throughout the city. Because of its beachfront location, Jacksonville Beach is considerably more expensive than nearby Jacksonville. Our lowest priced units in Jacksonville Beach, FL average $63.00 per month. 75 people have reserved units in Jacksonville Beach, FL in the past 30 days. 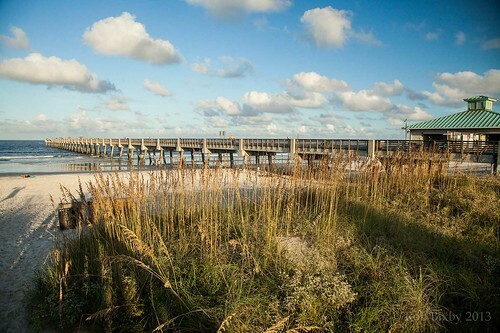 There is 1 location within Jacksonville Beach, FL's city limits. There is 1 location in Jacksonville Beach, FL that offers AC and Heating features.